If you are looking for a fantastic range of Football Team Building Games then you’ve certainly come to the right place! 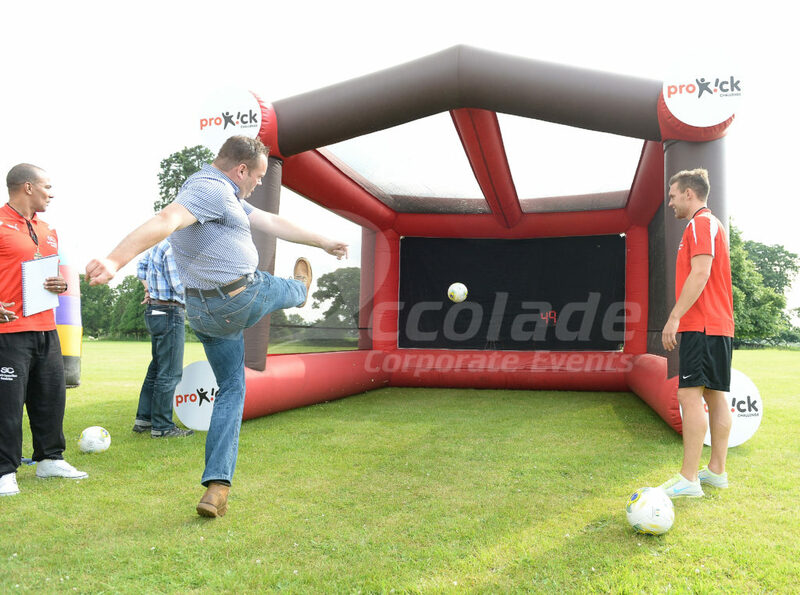 With a sporty mix of interactive games and entertainment, we can ensure that your Football themed team event is a huge success! Whether it’s a daytime team building event or evening entertainment, we can help you. 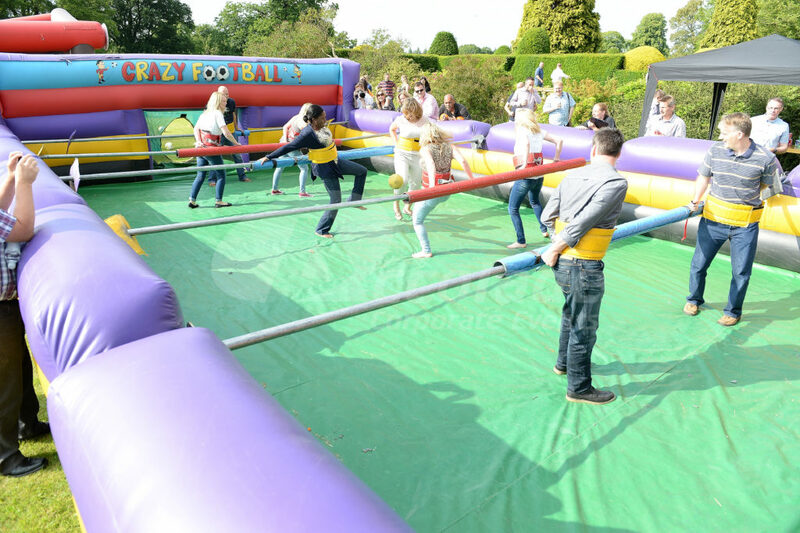 Choose from our fabulous range of different activities such as inflatable Human Table football, a giant inflatable version of the popular game with an inflatable enclosure, brilliant fun and very competitive! Try your speed at Radar Speed Football, precision testing with Beat the Goalie and planning with Football roller coaster. Our inflatable Football Pool is superb, with an inflatable enclosure footballs become the pool balls as teams battle it out to pot the footballs and score maximum points. For an insight on how the professionals can perform amazing football tricks, Footy Freestylers will amaze your guests and with a little one to one tuition help them perform tricks they never thought possible! If you’d like to find out how you can host Football Team Building Games that will appeal to your group then why not give us a call on 0800 083 1172 or fill in our contact form and we’ll call you and talk you through the many different exciting options. You may enjoy our Games that Build Teams where you create your own perfect selection!